“Shadow hunting” mode: After “shadow hunting” mode is activated,SPG 2 will enter fast lock and reset status,thus it can sharply respond to any rotations of each degree,quickly capture the wonderful moment. Focus Ring: Use magic ring to precisely control the zoom/follow focus of camera and three axes(pan,roll,tilt) by connecting Vicool APP. SPLASH PROOF: Now the upgrade version of SPG achieves the splash-proof function, which enables you to make more fun without limited on a rainy day. Anti-shake “core” algorithm & Super motor: With new iterative W5 anti-shake algorithm combining,high-precision brushless motor,low power consumption,large torque,the ultra-high load capacity for mobile phone with stronger anti-shake stability. Large capacity battery&Two way power supply: Running time up to 14 hours. 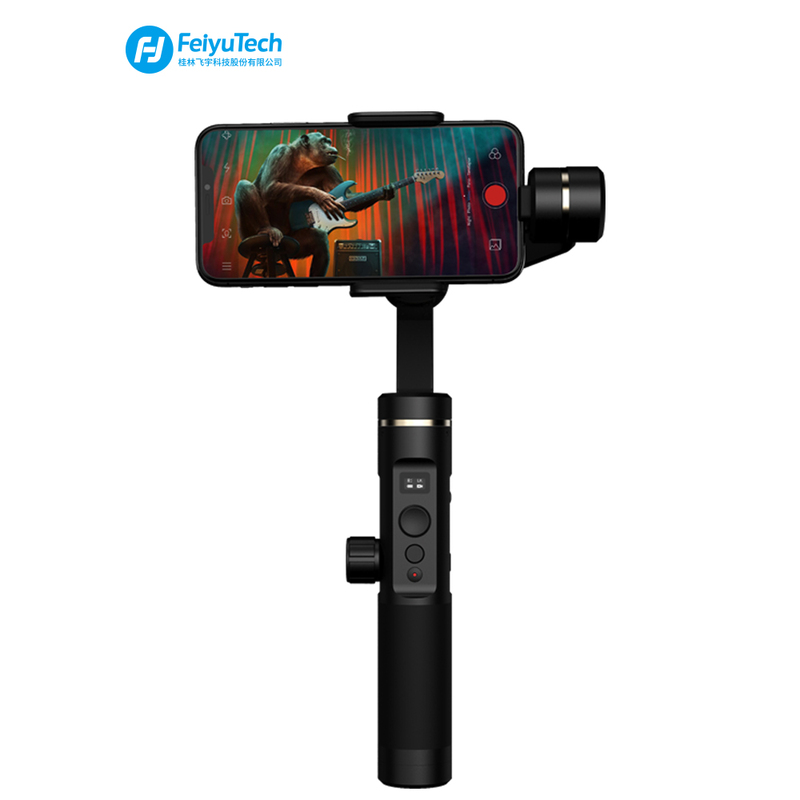 The gimbal with output interface for mobile phone power charging,and supports to be charged by power bank in used. Compatibility: SPG2 is compatible with cellphones which width is between 57mm and 95mm, and its max payload is 300 gram. iPhone: iPhone X/ 8/ 7 Plus/ 6S/ 6 Or other smartphones of similar size. Battery: 26650 flat head battery*1, 5000mAh, 3.6V. Battery could be charged from external power sources by Micro USB port (Note: The function of waterproof will be affected while charging).